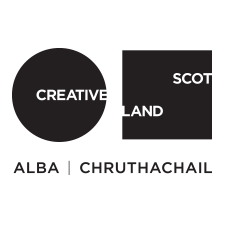 Culture Republic are hosting a practical digital communications workshop at Eden Court on Tue 28 Mar from 10am-4.30pm. This event is free for up to two Touring Network promoters to attend. Led by Paul Hanrahan, Culture Republic’s Marketing and Campaigns Manager and Ashley Smith Hammond, Culture Republic’s Content Producer, you will be guided through the process of building a tailor made Digital Communications Plan for your organisation. If you publish digital content, working with a mix of social and digital channels, this workshop is for you. At the end of the workshop, you will take back a Digital Communications Plan ready to put into action, and a set of tools and techniques at your fingertips that will help you to target and develop your organisation’s wider communications strategy. Set and measure digital communications objectives: see how other organisations have made their digital activity work for them, and how they measure their success. If you would like to attend, please contact Rhiannon by Mon 20 Mar with a brief explanation of why you would like to attend, and what you hope to get out of the workshop. The Touring Network is also be able to provide a travel bursary and/or accommodation for those travelling further afield to attend the workshop. To find out more about the event, visit www.culturerepublic.co.uk .